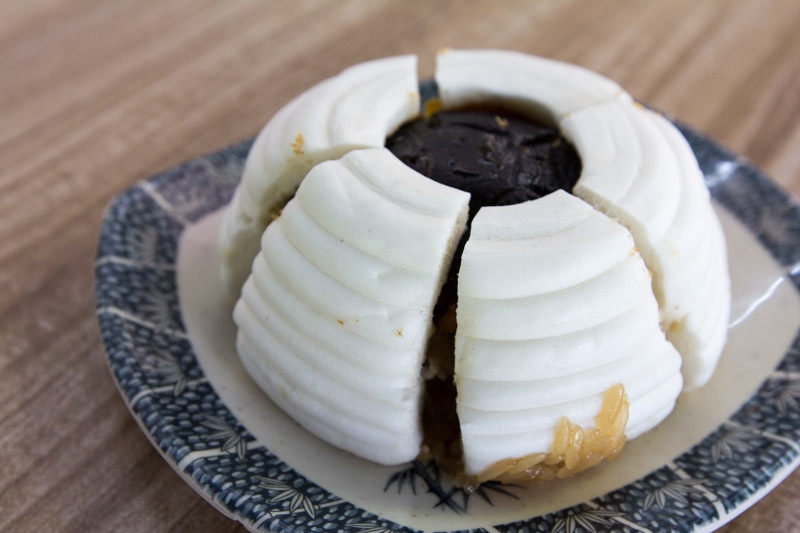 I was scrolling through Instagram, and I saw this photo of a bao encasing a mixture of rice and I told myself I had to go down and try this unique dish. So off I went to Bukit Batok to locate Lian Bang Fu Zhou. 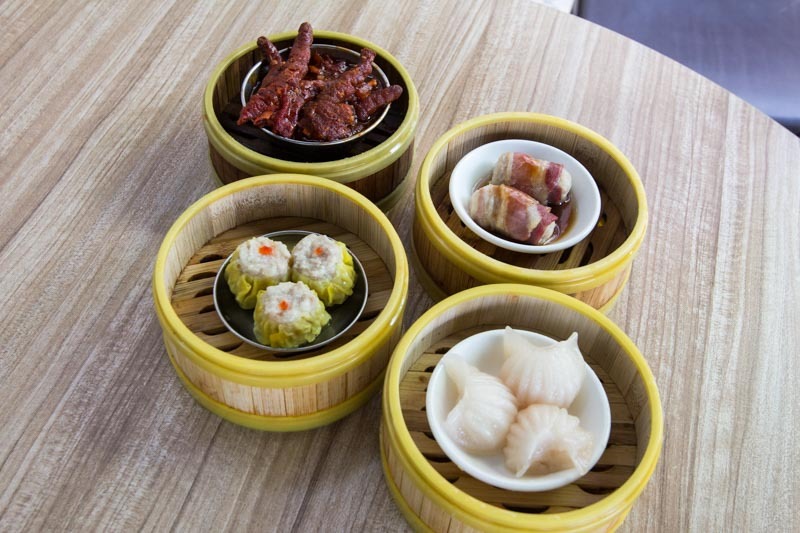 With bamboo steamers stacked sky high over a metal steamer unit, orders are heated up immediately upon ordering and you get piping hot dim sum and buns within a few minutes. 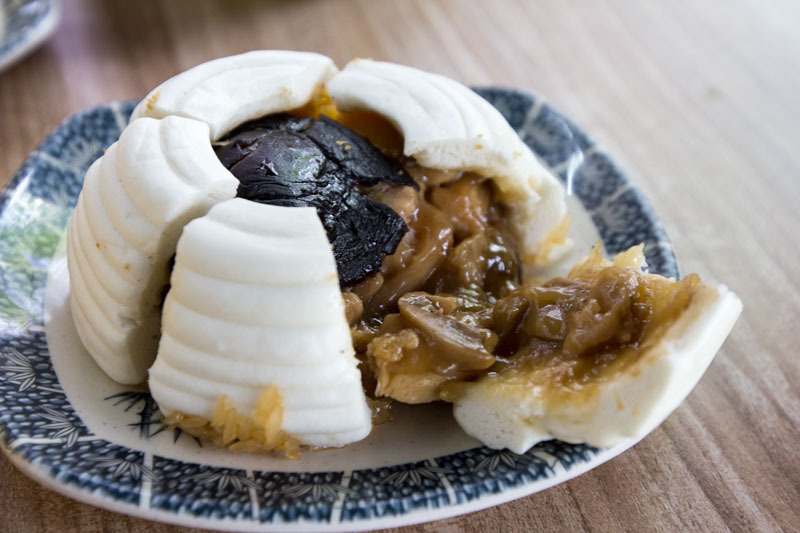 Go early though, or some of the more popular items like the liu sha bao might be sold out. I ordered the Royal Chicken Bao ($4) and what came to the table exceeded my expectations. 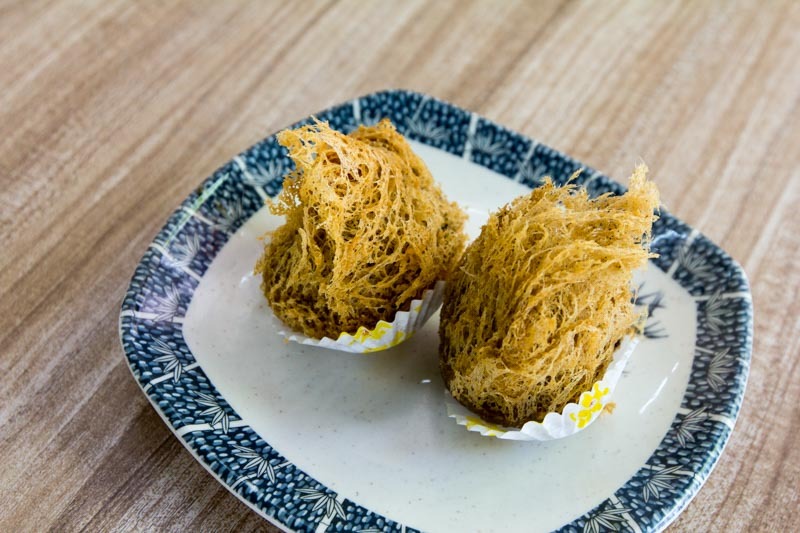 A bun was split open, revealing a mound of sticky glutinous rice inside with char siew bits, chicken chunks, mushrooms, onions, and crumbs of salted egg yolk. The sticky sweet sauce gave it a nice depth in addition to the savoury chicken meat, but I thought that the bun was a little too dense for me on its own. Pair it together though, and the combination works well. 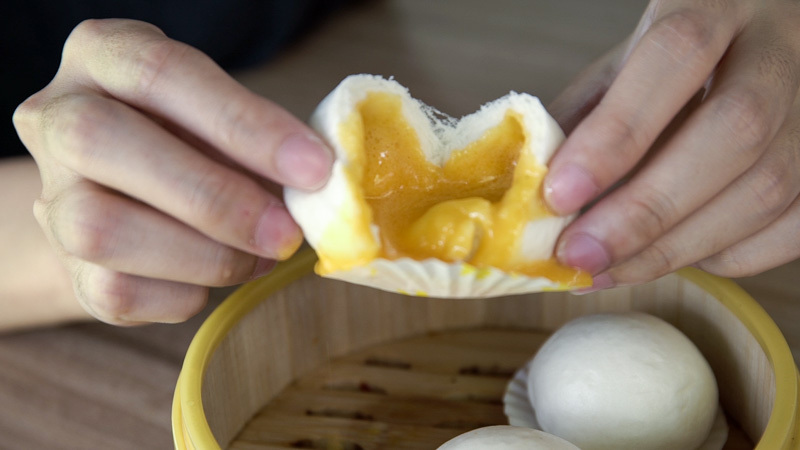 The Liu Sha Bao ($3.20 for 3 pieces) was probably the highlight of the meal; I loved the soft, fluffy bun and the gorgeous molten salted egg yolk inside that flows out once you break into the centre. I was also very impressed by the amount of filling that’s in every bun, and even after I accidentally spilled some, there was more than enough to satisfy me. Lian Bang Handmade Bao has a number of unique dim sum items as well, including the Bacon Dim Sum ($2.30 for 2 pieces). This is a must-try for bacon lovers, with a filling of pork encased in a rasher of bacon. Salty with a tender interior, this small roll of porky goodness left me wanting more. A dim sum staple that I’ll always order is Har Gao ($2.30 for 3 pieces) and that was no different here. I liked the thin and soft skin that was able to remain intact when picked up, along with the crunchy prawn filling that was fresh and sweet. 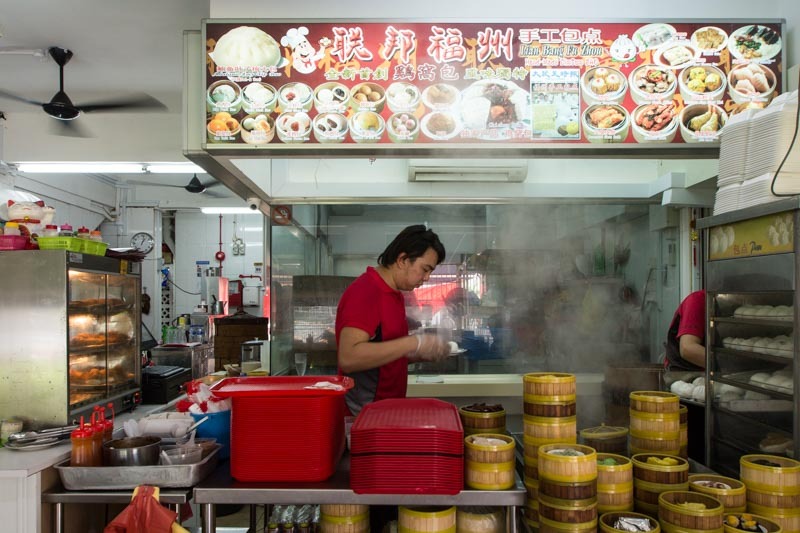 At this stall, one dish changes weekly, and the one that was available when I went down was the Yam Pastry ($1 for 1 piece). With a filling made from yam and char siew, it was a great snack. The light and crisp outer shell was done very well with only a slight oily residue left behind, which I thought was good considering that it was deep fried. 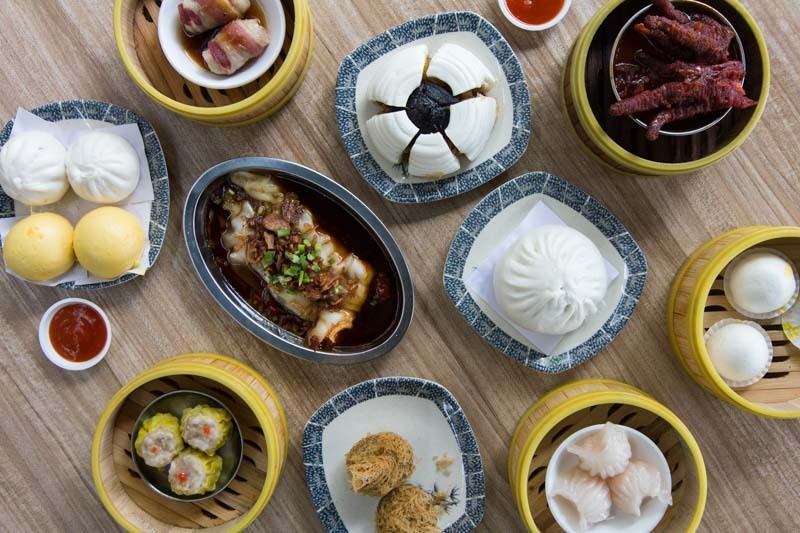 It might not be the most convenient place to head to for dim sum, but if you’re in the vicinity, this is definitely a great choice. I mean, where else are you going to find a glutinous rice bao?